Amitabh Bachchan Ji: we need your assistance! 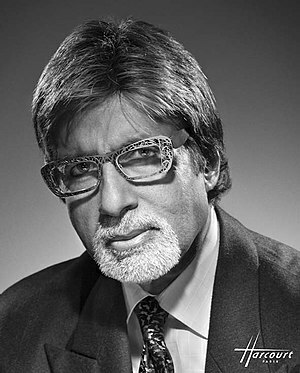 We have a great admiration for Mr Amitabh Bachchan AKA Amit Ji. I have even more admiration for him because “CHHORA GANGA KINARE WALA” is from Allahabad and I am from Banda which is the adjascent district in Uttar Pradesh. He has some relatives in Banda too. I was in class 6 or 7 when he visited Banda. I was a kid then but I remember this very well. He visited a school called “Arya Kanya Intermediate College, Banda” whose principal was Mrs Indira Rajan who I believe is his relative. The function was huge and I remember almost whole Banda district [few lakhs] came out to see him. That is how popular he is! Amit Ji is popular all over the world. He is an icon and we all are genuinely proud of him. We were very happy to know that he was going to be awarded a “Doctorate” by a Queensland University but unfortunately he could not accept it. We understood his reasons. We even agreed with him then. We know he is a great man and his heart beats for our great motherland, India and its people, irrespective of where ever they live. Indian international students have chosen Australia for their training/education and we have around 97000 students in Australia. They are spread around the country but most are in Melbourne and Sydney. They have several issues and some of them have been assaulted/robbed. Things have quietened down to a large extent but their problems have not disappeared completely. Some of our Indian students have to go through very stressful times which could be due to so many issues. It is often not very easy to find jobs here either. Worst of all this is the fact that some of our own Indians exploit them by under-paying and sometimes, not paying them at all. Some of these rascals then try to project themselves as the “leaders” or “NETA JI”. On top of all this, it is not unusual to find out that the school they were in has gone out of business, leaving them in lurch. They thus end up in a hopeless situation. It is these times when they need all the help they can get. I should know their predicament as I am a medical practitioner and have been involved in providing such support. Some of the students of a Flying School in Australia are having a horrendous time. I have been with them, sometimes right up to midnight, talking, counselling and keeping them in a positive frame of mind. Their stories are indeed heart-moving. We are working through the system here which, akin to the system in India, some times does not work fast enough. To be able to help our students in all sorts of situations and to provide the emergency assistance, we need “DHAN” or money. While we can collect some money from ourselves which is what we did when we were requested by the Indian Consulate to help arrange accommodation for the relatives of Mr Rajesh Kumar[Petrol Bomb victim in Sydney], we need lot more money to do these things effectively. That is where we need a generous help from every one in Australia and India. Some of this money, thus generated, could be used for something like “India House” which would not only function as the centre for the social/cultural activities for Indian Australians but also as the place for emergency accommodation for those who are in desperate need for such help. It does not have to be money only. It could be the help in the form of their presence in a function, encouraging Indians to open their heart and purse. While “purse” is the right approach for our Indian Govt of PM Mr Manmohan Singh which would allow the Indian Consulate to have some money to help the students, the “Heart” would be sufficient for our Icon, Amit Ji. It would be wonderful and helpful if Amit Ji were to agree to visit Australia, not only to take the “Doctorate” but more importantly, to participate in the Indian community functions in Melbourne and Sydney to help generate money for “Indian students’ Emergency Assistance and Benevolent Fund”. Knowing Amit Ji for what he stands for, I am quite hopeful that he would respond quickly and positively. Amit Ji, we need your help, counselling and encouragement! We hope you would not disappoint us! This entry was posted in Dr Yadu Singh, India and Australia, Indian bloggers in Australia, Indian Community Events, Sydney, Indian community in Australia, Indian community leadership in Sydney, Indian leaders in Australia, Indian students in Australia, Indians in Sydney-News, Views and reviews, Overseas students in Australia, Views of Indian Australians and tagged Amitabh Bachchan, Benevolent fund for Indian students in Australia, Dr Yadu Singh, Honorary doctorate for Amitabh Bachchan, Indian students in Australia, Indian students' welfare in Australia, Queensland University of Technology. Bookmark the permalink. ← Dear Indian Community leaders in Sydney,……….